CenteRing Corewire Technology ensures the torque transmitted along a guidewire is distributed evenly around the circumference of the guidewire right to the tip. Therefore, offering true 1:1 torqueability. If the corewire is not centred within the guidewire coils, there is a high likelihood that the torque forces will be heightened on the side of the guidewire the corewire is closer to. Therefore, transmitting bias torque along the length of the guidewire. 1:1 torqueability is essential for a physician to have complete control of a guidewire’s movement during navigation of tortuous vessels. Concert Medical’s proprietary CoilCoat Hydrophilic Coating Technology makes a guidewire very lubricious when hydrated. The coating adds no additional stiffness to tip flexibility. CoilCoat hydrophilic coating is applied to the entire coiled area of a guidewire. DuoCore Hybrid Corewire Technology is a hybrid of Stainless Steel and Chromium enriched Nitinol materials. 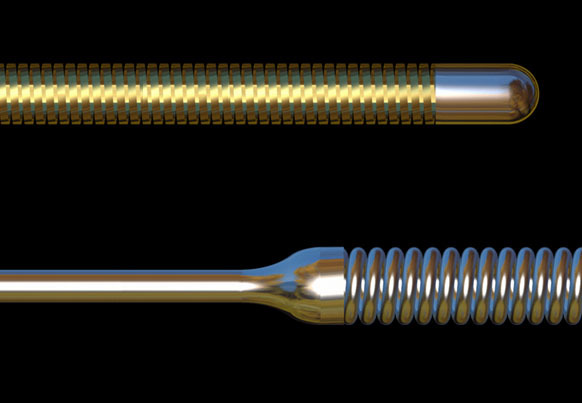 The Stainless Steel proximal core wire offers optimized pushability for easier lesion access. The Chromium enriched Nitinol distal core wire provides optimal flexibility and precise steering. The Stainless Steel shaping ribbon enables easy tip shaping and outstanding shape retention. 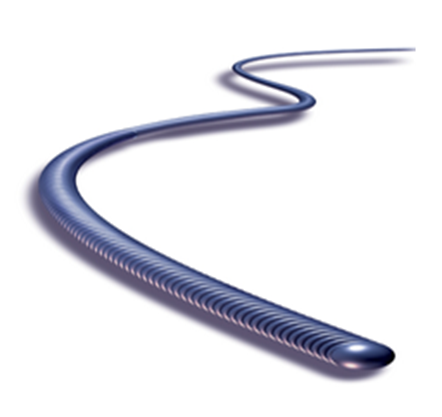 Furthermore, the Nitinol distal core wire features improved durability. This combination empowers for multiple lesion access. Eureka Gold Plating Technology offers unrivalled bond strength between the guidewire coils and the underlying corewire, while not creating patches of radiopacity to confuse the true tip (Pt coil) of the guidewire. Bond strength between the coil and the corewire is essential to reduce the incidence of coil dislocation from the guidewire; often witnessed as one of the higher failure modes for guidewires during procedures.